Rev Dr Cuthbert Nhamoinesu Magama Ncube. 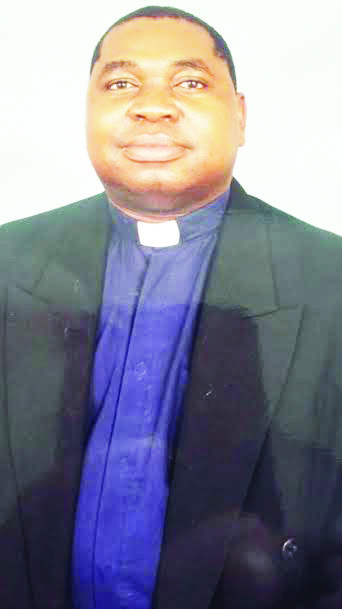 BIKITA – After spending 25 years in priesthood, Chivi born Rev Dr Cuthbert Nhamoinesu Magama Ncube of the Catholic Church will be celebrating his Silver Jubilee at Gokomere Mission on February 9, 2019. The ever-laughing priest was ordained on January 1, 1994 in Zvishavane and did his pastoral year at Silveira Mission, Bikita from 1994 to 1995. He worked at various missions both inside and outside the country. 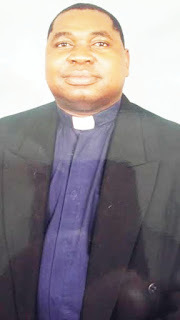 He was at St. Kizito Sidhakeni (1996); St. Mary’s Mutero Mission (1997 – 1998); St. Joseph Beitbridge (1999); Botswana – St. Joseph Minor Seminary in Gaborone Diocese (1999 – 2003); Bondolfi Mission (mid 2003 – mid 2005) and The Catholic University of Eastern Africa (CUEA) (mid 2005 – 2013). Fr Magama was born in 1968 as the third born out of eight children of the late Philip Munhuweyi Magama and Ettie Mugabe Moyo of Zvishavane. He has three brothers (one late) and four sisters. “I started my primary education at the age of six in 1974 at Chomuruvati Primary School in Chivi. I then went to Shabanie Mine School where my father was working at Shabanie Asbestos Mine. In 1983, I was enrolled at Mandava High School in Zvishavane Urban and completed my Secondary education in 1986,” said Fr Magama. Father Magama said he was so playful as a young boy that he had to repeat Grade 7 twice. “I was very playful in this mining compound. I liked soccer a lot. I used to play in the compound so much so that I failed Grade Seven twice. At Mandava High School I developed a better attitude towards school, and I passed,” said Father Magama. He said his two sisters, Fungai (Mai Godfrey), Fiona (Mai Chuma) and his grandmother VaPelagia (VaMurozvi) who were baptized before him inspired him to become a priest. He said the powerful sermons of his local priest also inspired him a lot. In 1987 he entered the Regional Major Seminary (Chishawasha) and studied Philosophy which he finished in 1989. He studied Theology concurrently with a BA Honours Degree in Religious Studies at the University of Zimbabwe and completed in 1993. “I really liked and enjoyed my Seminary days but my fear was to show the playful me to the authorities,” said Father Magama.